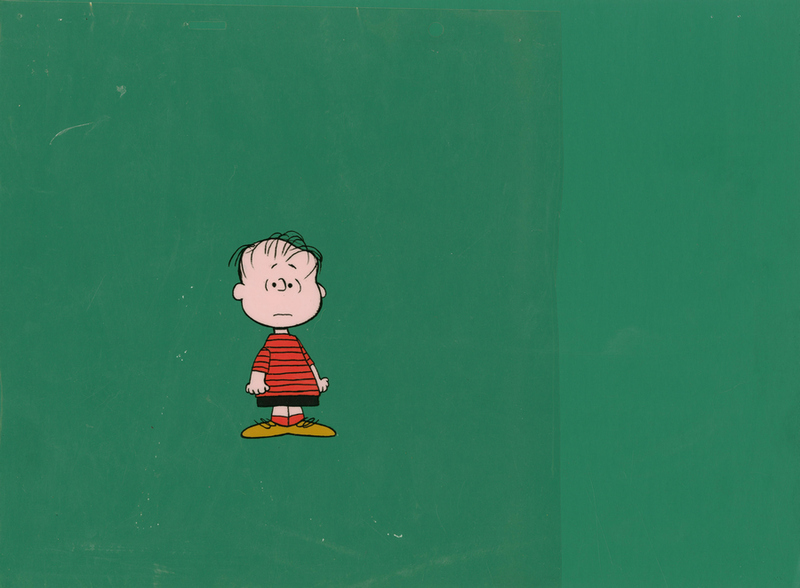 This is an original production cel from the Bill Melendez Studios production of a Peanuts production, likely from the 1980s TV series. 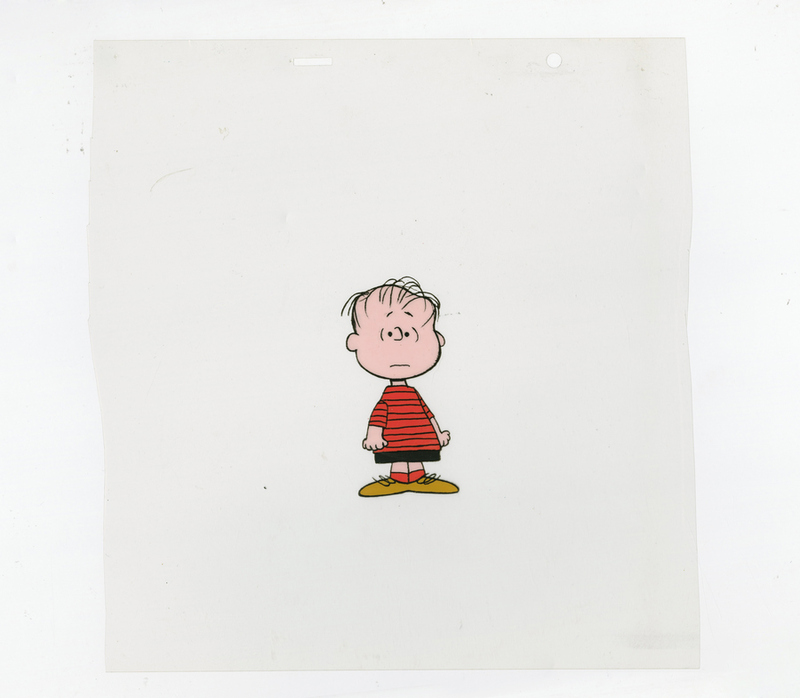 This hand-painted cel features Linus and was created at the studio and used during production. 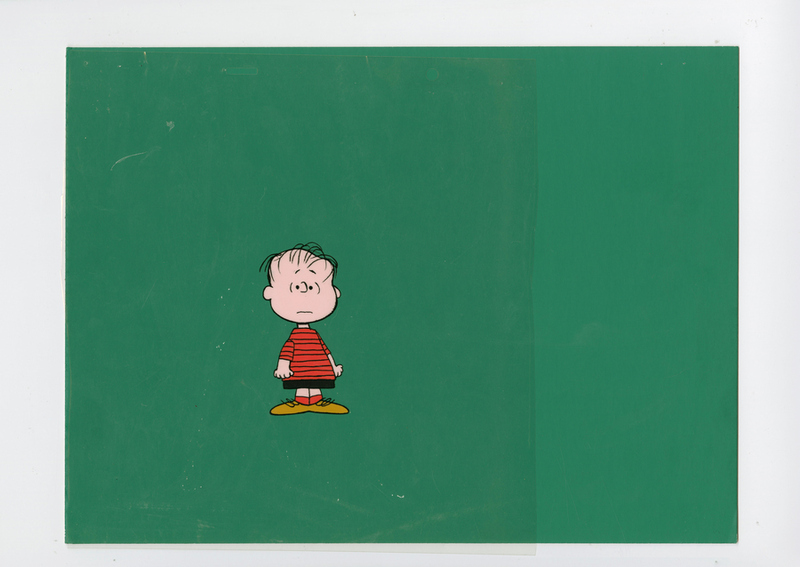 The overall measurements of the trimmed piece are 10.5" x 10" and the image itself measures 3.75" x 1.75".